Many of us strive to investigate the unknown and discover our origins. 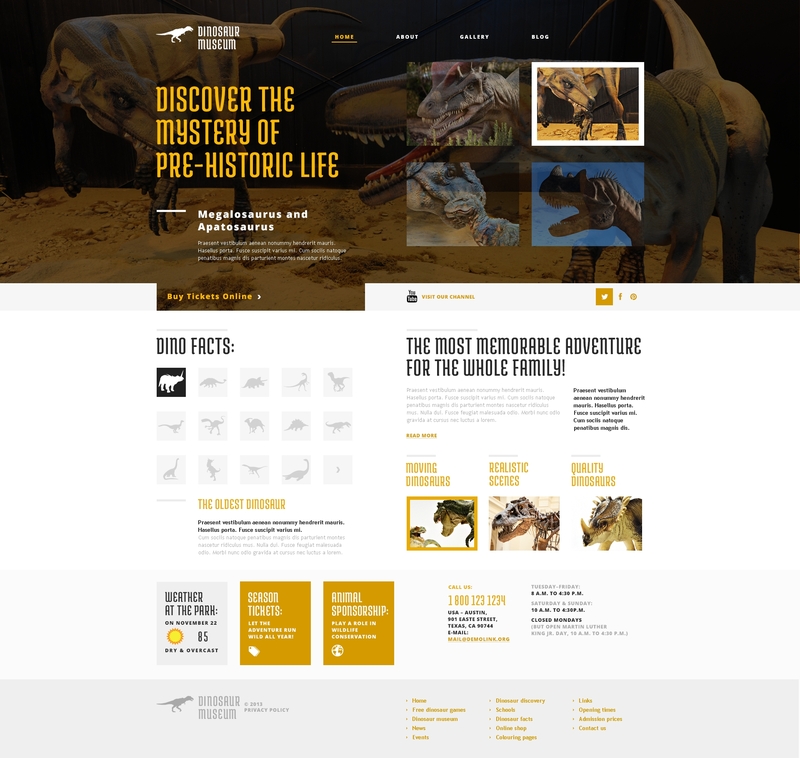 If you want to help people satisfy their curiosity and introduce them to the era of dinosaurs, then choose this theme. It can be a great starting point for building a museum website. The full width slider and breathtaking imagery dips you into the atmosphere of those times. Neat social buttons welcome everyone to start keeping track of your updates online, whereas catchy orange banners encourage pushing the button and booking a ticket. Ready to discover the full potential of this design? Then proceed to checkout. Will TemplateMonster help me to install my WordPress theme for Exhibition? Very beautiful theme, but the documentation is poor. I want a website identical to the demo, but no documentation on how to arrange it. I think you need also to include the full version of plugins. Thanks for the support and taking the time to read this review.